The industry day offers the opportunity to discover key technologies of companies and EPFL laboratories in an interactive manner. With over 4 hours of coffee, lunch and apero breaks, it offers an ideal networking opportunity. 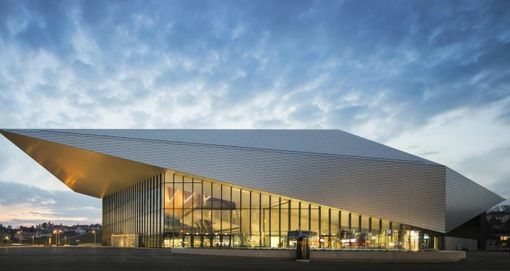 This exhibition is combined with the Salon des Technologies et de l’Innovation de Lausanne (STIL) that showcases more than 100 startups, SMEs and organisations from the region. While the first day (Wednesday, March 20) is an event exclusive to registered participants (entry with charge), the second day of the STIL (Thursday, March 21) is open to the general public. Each company can choose to book a booth for either day. A discount is offered if a booking is made for both days. The third edition of the Industry day organized by the School of Engineering (STI) with the participation of the School of Life Sciences (SV) took place with great success last Wednesday March 20. With more than 600 attendees, 60 presentations from academia and industry and 55 exhibition booths, we hope that the program has satisfied your expectations. We would like to sincerely thank you for your active participation and your contribution to the success of the event. We invite you to relive the day by browsing through our interactive minutes with links to presentations in PDF format of all speakers. You can also have a look at the image gallery sorted by session. We are grateful to the EPFL photo club for their numerous pictures. Also you can watch all presentations and videos from the Industry day. We hope to see you again during the next edition of the industry day in 2020.